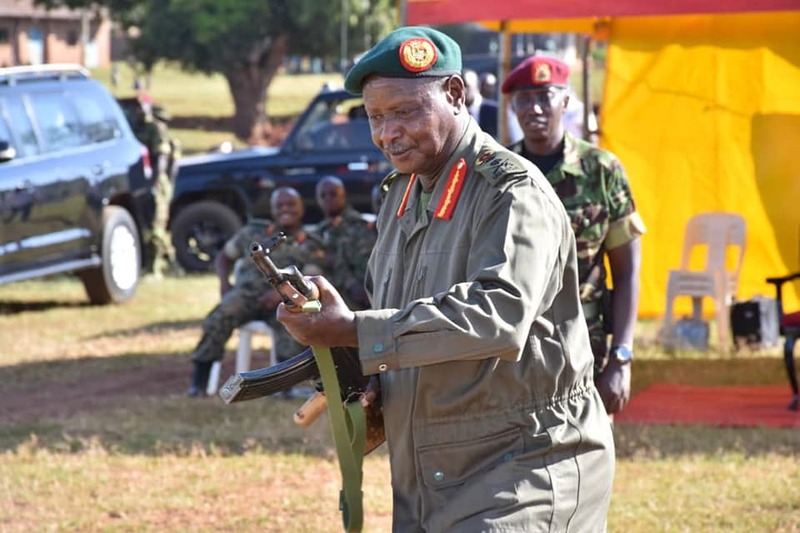 President Yoweri Museveni, who is also the commander in chief of the armed forces has started a countrywide tour of all the UPDF barracks throughout the country. The tour started at the first division headquarters in Kakiri, Wakiso district where he interacted with commanders, officers and men of the UPDF housed in the barracks. “Soldiers must understand their historical mission. Each army has its mission. For example, the Abambowa and Abarusura armies of Buganda and Bunyoro kingdoms believed in defence of feudal systems while advancing a tribal agenda,”Museveni told the soldiers. 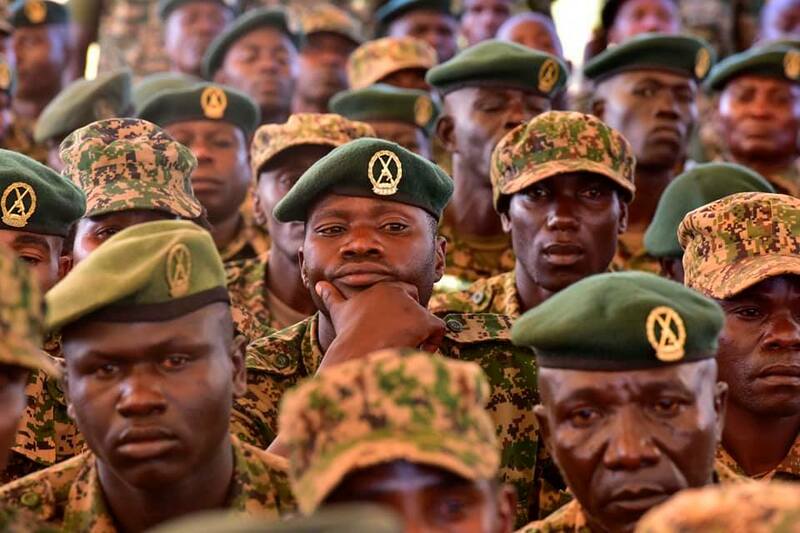 Senior UPDF officers listen to Museveni. 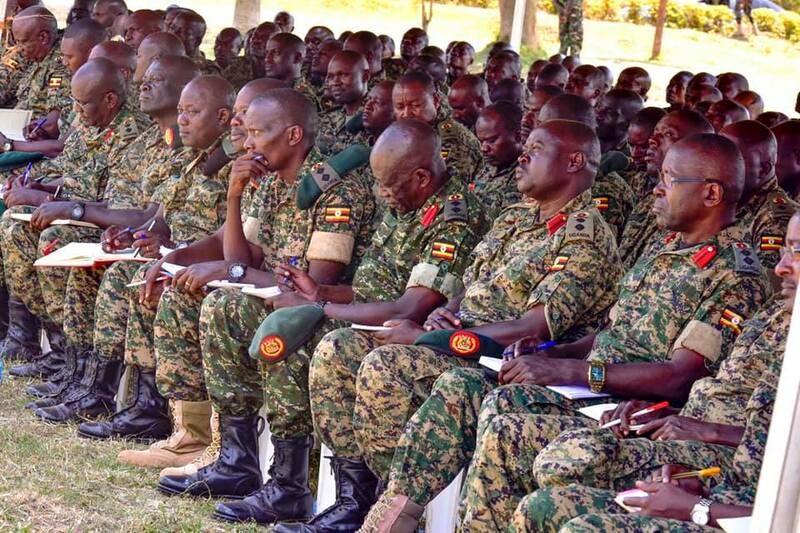 The commander in chief of Uganda’s armed forces explained to soldiers that they must appreciate that the Ugandan army emerged from people as the National Resistance Army was a collection of locals who went to the bush to fight bad governments and after capturing power, it metamorphosed into the current UPDF. He told the soldiers that the UPDF is a people army that seeks to fight for their interests and prosperity on top of securing them. The President also assured the soldiers that government has in the past not increased their remuneration in the past because it had to first deal with “foundation” issues of the economy but assured them that as the economy improves, they will be considered. “On housing, I am glad that the UPDF has an engineering brigade which will build houses for soldiers at a cheaper rate than private contractors. We have already piloted this with the Special Forces Command and it will roll out elsewhere,” he noted. Museveni also donated shs100 million to the Sacco for soldiers’ wives at Kakiri barracks. “As I have always preached, soldiers must live a responsible life. Have a preventive approach to your health. Avoid promiscuity, alcohol abuse and other such vices,” he advised.